Be the first to hear about their new releases and deals. Download the Booksprout app and search for Patricia Leitch today! 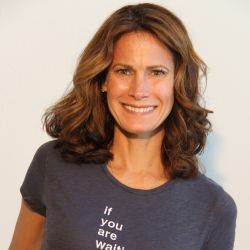 Patricia Leitch is an author and teacher who believes that early introduction to relaxation and mindfulness practices are critical for kids to succeed in today’s media-fueled world. During her teaching years in the California public school system, Patricia realized young kids grasped mindfulness techniques best when they were taught by lovable animal characters. Thus the creation of the KindfulKids Adventure Series featuring Danny the Dingo Dog, Freddy the Wise Frog and their journeys around the world. Patricia's books aim to empower parents and educators that they can introduce young children to important mindful skills. Her interactive books not only teach yoga and mindfulness skills, but are fun-filled with lessons about growth mindset, resilience, kindness, compassion, emotional regulation, gratitude and more. For more information on her and to meet all the KindfulKids characters, go to kindfulkids.com.